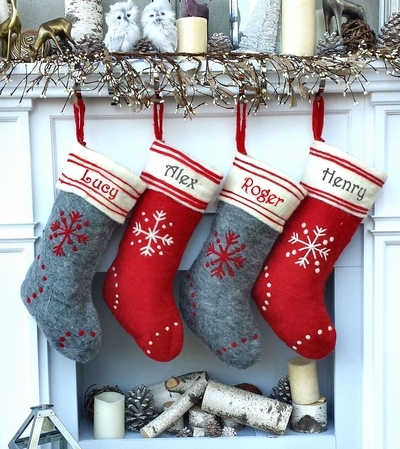 Primitive Wool Grey Red White Snowflake Christmas Stockings Personalized Nordic Scandinavian Christmas Decor Stockings for Family. Measurements: This stocking is 18.5 inches diagonally from the loop hanger to the toe and about 6.5" wide at the top. Lining: This Christmas stocking is not lined inside.